The TOG/TPH analysers from Micron Scientific are ideal for field or laboratory applications, being portable and or FOG determinations can be made in under 15 minutes, including extraction. The analysers measure both aliphatic and aromatic components and are usable with hexane, pentane, Vertrel MCA, perchloroethylene, Freon-113, AK-225 or S-316 extraction procedure. The InfraCal IR Card Reader Analyzer Model CH uses specially-designed reusable IR sample plates with sapphire windows which have a 100 microlitre sample injection capacity. 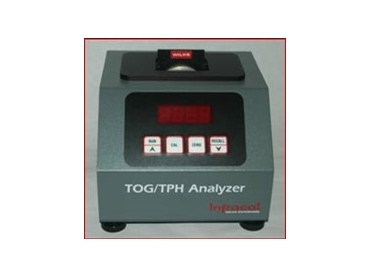 It is suitable for measuring high concentration levels of TOG or TPH in water or soil samples extracted with hexane, pentane or Vertrel MCA. The measurement range for water is 40-2000ppm (using a 10:1 extraction ratio) and 200 – 5000+ppm (using a 1:2 extraction ratio) for soil.